Synopsis: Just in time for the snowboarding season, Destineer sent me a review copy of their recent title Stoked: Big Air Edition, so here comes your fresh powder carving extreme sport review. 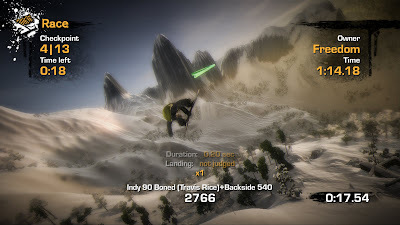 Big Air Edition brings the player back to the original Stoked foundation but add two new mountains, Laax and K2, totaling seven available locations to drop into and master. Other new features from the original entry are races, marked trails to find the eight available runs on each mountain, park objects to trick off of, smoother and faster animation, new pros, and lastly, improved visuals. 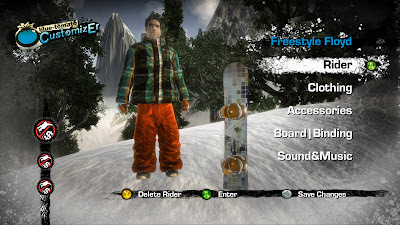 The player is able to customize their character with new gear from over 30 different brands, including 2009 and 2010 styles from brands such as Burton and Volcom. Praise: Stoked: Big Air Edition has a lot to offer, from races, to the challenges, and the sponsors, it would take a lot of time to dominate all that is available. Unlocking sponsors, equipment, clothing, mountains, and events come from influence points earned by completing trick challenges and races against the pros. 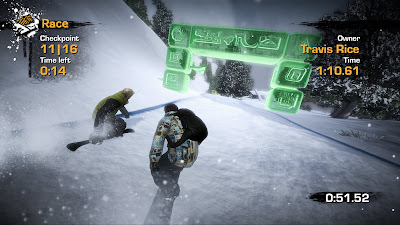 The uniqueness of the controls are different from previous snowboarding titles, where the left stick controls the player and the right stick makes you jump and perform tricks, while the left and right triggers are grab trick modifiers. Character customization felt rather limited at first but after gaining some sponsors and completing media events, I was able to unlock gear opening up customization options for my character. The tutorial was also extremely helpful to help me understand the unfamiliar controls and how to enjoy the game. Gripes: I noticed myself getting frustrated trying to get the hang of the new controls but after a couple hours with the title I started to get the hang of the tricks and physics. Some of the challenges were not so forgiving and found myself restarting numerous times to try and pull off the listed tricks or beat the necessary score. For trick challenges I often had to pull up the PDA interface to go to the trick list to see how to execute the necessary trick or tricks needed to get the influence points. The photo op events are a neat feature, but I was not a big fan of the camera placement, and think this could have been a great addition to the title if you can see where the camera was placed or have the ability to move the camera. 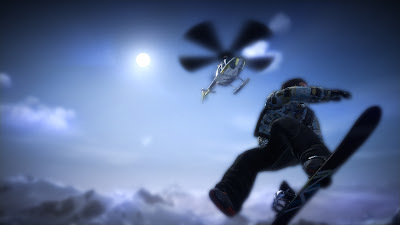 Overall, as a fan of the unrealistic SSX series, and disliking the more realistic Amped series, I found that Stoked: Big Air Edition was rather entertaining. 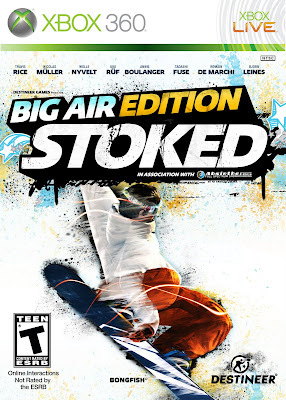 Unfortunately, I did not play the original Stoked title, so I cannot determine whether Big Air Edition feels like it could have been a paid DLC or if there is enough new places and features to make it feel like a whole new title. The $39.99 price tag is great compared to typical $59.99 for new titles, and the amount of content offered gives the player enough locations to appreciate and events to conquer for longer than other similar titles in the genre. Mashbuttons.com gives Stoked: Big Air Edition an 8 out of 10. Stoked: Big Air Edition is available now for the Xbox 360.